Colleen Kelley is an associate attorney at Wolf Law. She has dedicated her practice to providing excellent and compassionate representation of the highest quality in criminal cases. She understands that every criminal case is as unique as the individuals involved. 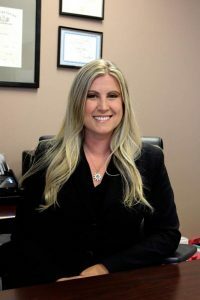 From the very beginning of her practice, Ms. Kelley has witnessed the enormous and often life changing consequences that criminal charges and convictions can have on a person. She started off as a law clerk with a Denver firm specializing in white-collar criminal defense and complex litigation. During her time as an attorney, she earned a reputation as a fighter who works tirelessly for her clients and never backs down. She entered private practice in order to be able to devote the attention needed to each individual client and to focus on consistently improving quality representation. Ms. Kelley was born in Massachusetts and relocated to Santa Fe, New Mexico during and after her undergraduate years. She is a graduate of the University of Denver Sturm College of Law and has since made Denver her home. In her free time she is an avid skier and motorcycle rider.